Marissa focuses her practice on white collar criminal defense and complex commercial litigation. She provides thorough, analytical representation, looking at criminal matters from every angle. An original thinker who seeks out novel legal solutions, Marissa is known as a tenacious, compassionate advocate clients trust when they face potentially life-altering legal challenges. She is active in the New Jersey Association of Criminal Defense Lawyers and has contributed to multiple amicus briefs. 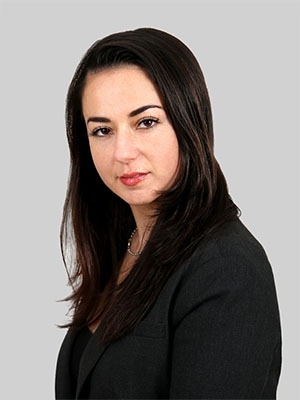 Marissa also helps companies and individuals resolve business disputes, fiercely protecting their interests in commercial litigation involving breach of contract and other issues. Her clients have included a large car company and investors in a real estate investment company. In addition, she counsels clients on compliance with state and federal health care and occupational health and safety laws and regulations and represents medical professionals in cases involving malpractice and Medicare and Medicaid fraud. Prior to joining Fox, Marissa was an attorney at an East Coast-based law firm. After law school, Marissa was a law clerk to the Honorable Rachelle Lea Harz at the New Jersey Superior Court, Civil Division. During law school, Marissa was a legal intern at a local New Jersey firm and a research assistant to Professor Vera Bergelson. She was also a judicial intern to the Honorable Katharine Hayden of the U.S. District Court for the District of New Jersey, a research assistant to Professor Gary Francione and a legal intern at the Office of Prosecutor for the Central Municipal Court of Bergen County. Additionally, she was a law clerk at a local New Jersey firm.